It’s the most obvious of all, but the Christmas markets opened in Manchester this weekend, and I for one am so happy to see the cute wooden huts back in town. 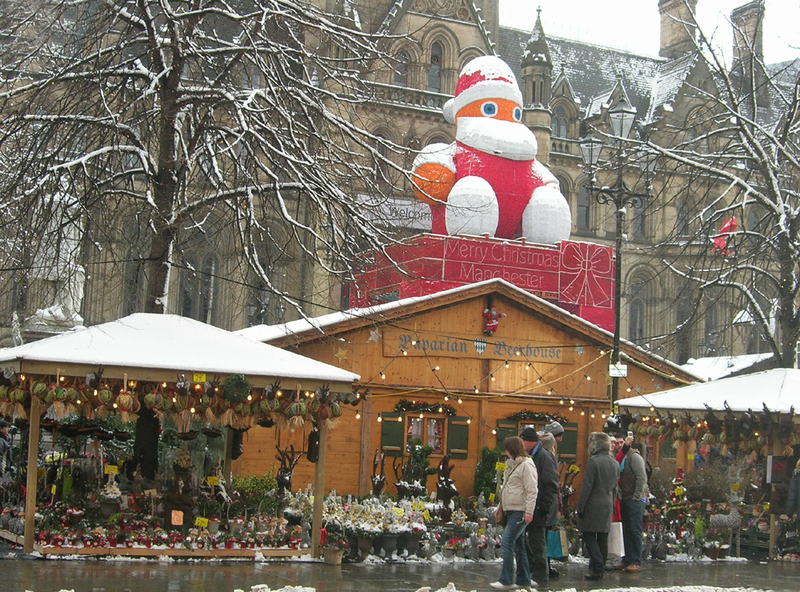 Yes they’ll be busy, but it doesn’t feel like Christmas until I’ve wrapped up warm and enjoyed a mug of gluhwein, a pulled pork sandwich and a chocolate-dipped fruit skewer in the chilly Manchester weather. 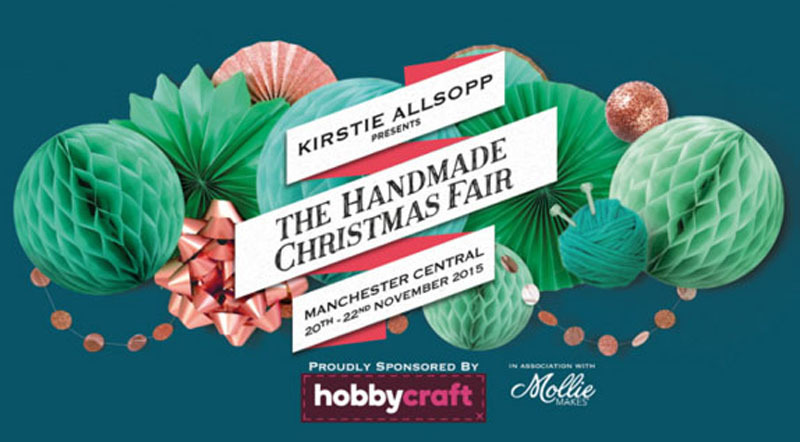 This is happening next weekend (20th-22nd November), so don’t miss out if you love Christmas and enjoy crafting! Quote the code ENGLISHROSE20 to get a Full Experience ticket (which includes 3 crafting sessions) for £20 instead of £25. T&Cs: Booking and transaction fees apply. Offer applies to Full Experience tickets purchased in advance only and offer ends 21st November. It’s a magical film and now it’s a magical show too! 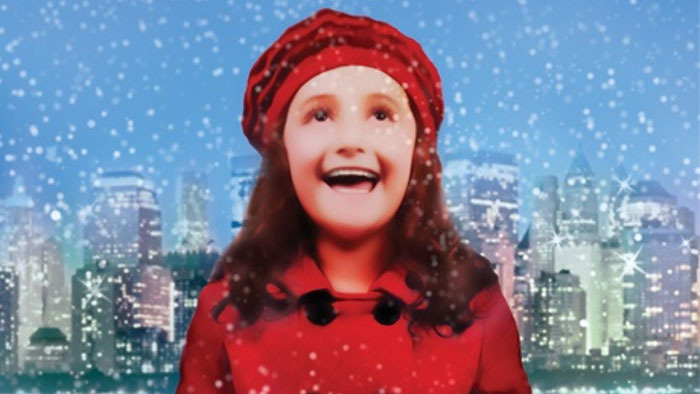 Watching a Christmas show at the theatre is a seriously festive thing to do, and this classic story is showing at Manchester Opera House from 23rd-25th November. And that’s to name just a few! 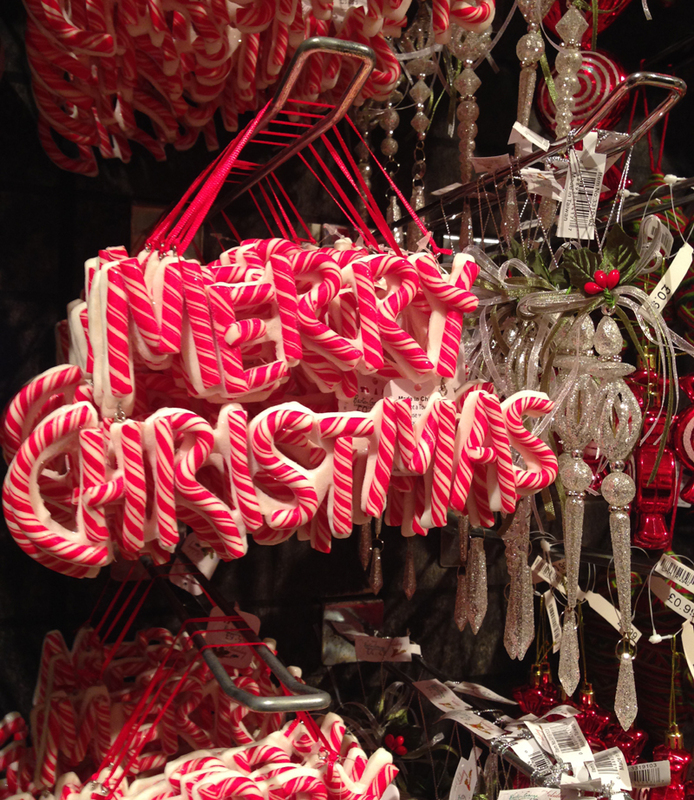 Garden centres are the most Christmassy places! You may want to pick out your Christmas tree, find some unusual Christmas decorations, take your child to see Santa or simply find some great gifts, but did you know there are also loads of events at garden centres to get you in the Christmas mood? Bud’s Winter Warmer (Bud Garden Centre, Burnage). 6th December, 4-9pm. Mulled wine, street food, Christmas trees and live festive music. Festive Inspiration Evening (Bents, Warrington). 2nd and 9th December, 6.30pm – 9.30pm. Experts share their tips on creating Christmas masterpieces. Christmas Nights (Barton Grange, Preston). 23rd November-23rd December, from 4pm. Late night shopping, live music and a hot pot supper. 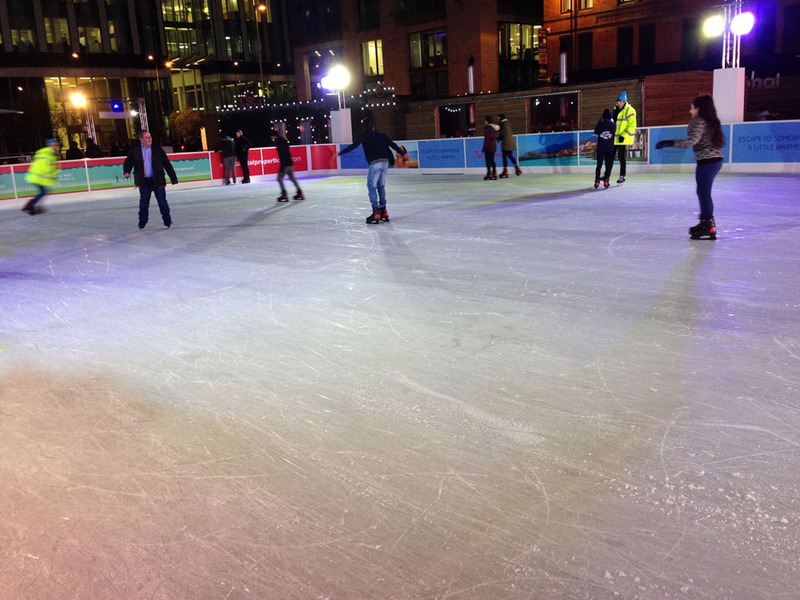 Get your skates on at one of Manchester’s temporary ice skating venues – the Manchester Ice Rink has just opened in a new location for 2015 and Manchester on Ice has also just launched at The Great Northern Warehouse. 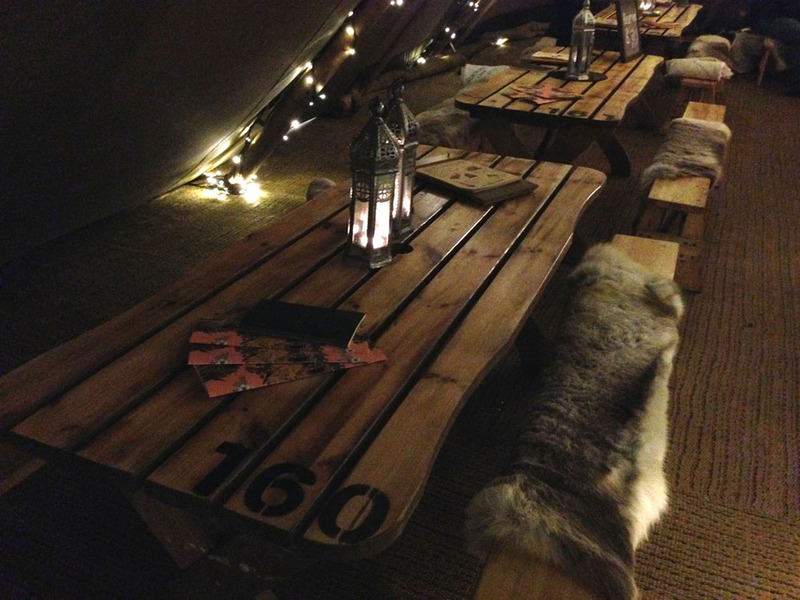 The magical winter teepee is back at The Oast House in Spinningfields, and is possibly the most festive place in Manchester to warm up after a day of Christmas shopping! Snuggle up in furry blankets by a roaring fire and enjoy a hog roast and mulled cider. How very rustic! Carol Concerts with The Halle. Saturday 19th December, 3pm; Sunday 20th December, 3pm & 7.30pm. Christmas Concert with Salford Music and Performing Arts, Ordsall Hall (includes mulled wine and mince pies!). Sunday 6th December, 2-3.30pm. Carols by candlelight at Manchester Cathedral. 10th December, 7.30-9.30pm. Christmas Carols by Salford Royal Choir at John Rylands Library. 20th December, 2-3pm. 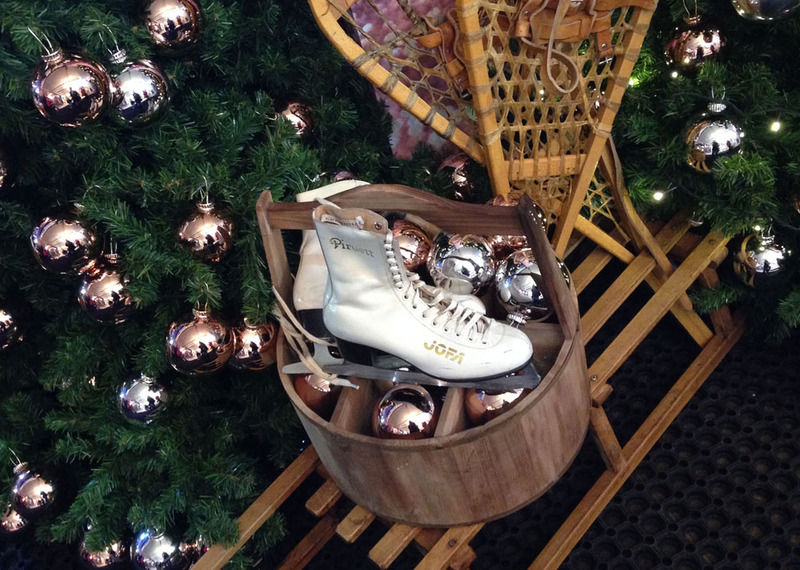 What festive activities will you be doing in the run-up to Christmas?